We are also used to displays being rectangular or a square and we recently welcomed curved displays into our lives but Sharp is planning something way ahead of that. Sharp has introduced new free-form displays, which the company believes should bring various new display forms to the consumers. Conventional displays are rectangular because they require a minimal width for the bezel in order to accommodate the drive circuit, called the gate driver, around the perimeter of the screen’s display area. With the Free-Form Display, the gate driver’s function is dispersed throughout the pixels on the display area. This allows the bezel to be shrunk considerably, and it gives the freedom to design the LCD to match whatever shape the display area of the screen needs to be. 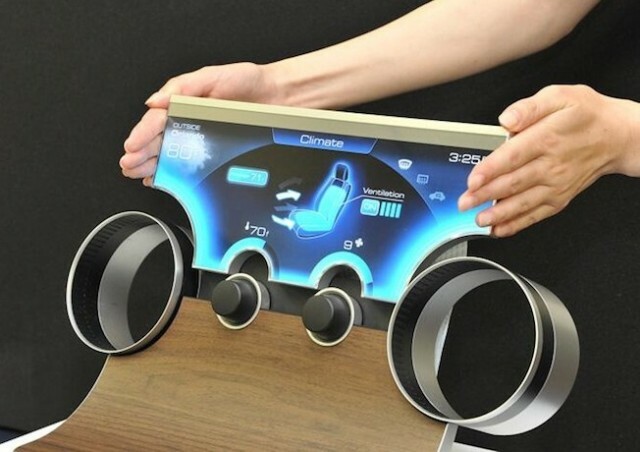 The Japanese company believes that the new free-form displays could come in handy in the automotive industry and the wearable industry. Sharp plans to start mass producing these displays “at the earliest possible date”. We are not sure when we could see these displays hit the market in the form of a consumer product. We do know that in the future we should see displays in various other shapes than the usual square and rectangle.